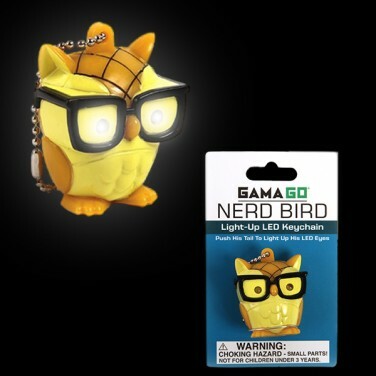 A wise little owl sports a pair of heavy rimmed specs for the nerdiest of looks but we think he looks kind of cute! 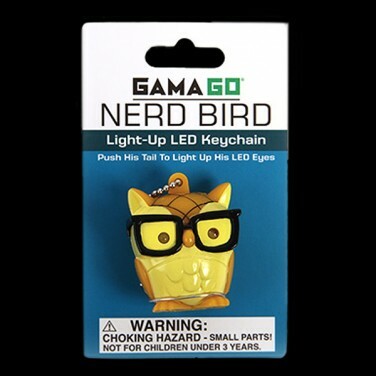 Press the tail of the Nerd Bird and his eyes spring to life shining bright white light where you need it most. 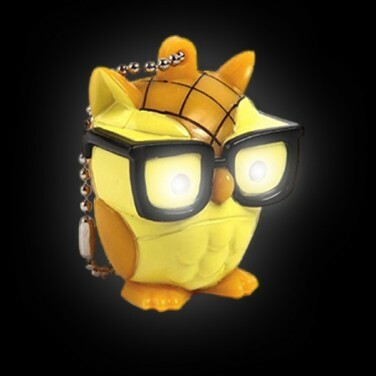 Just the right size to clip onto keys or handbags, this adorable owl keyring torch will be loved by kids of all ages.